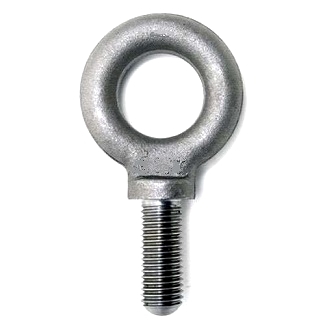 PRODUCT: #MEB112 FORGED-STEEL MACHINERY LIFTING SHOULDER EYE BOLT. Price/ 2. See safe lifting chart on inside front cover. Rated capacity considers a straight vertical lift. Use CAUTION when lifting. Any angle veyond vertical (zero degree) will reduce the rating capacity.